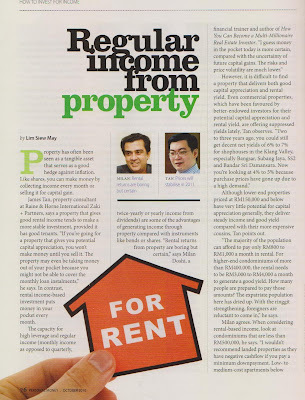 This October 2010 issue of Personal Money, talks about creating regular income from rental properties. 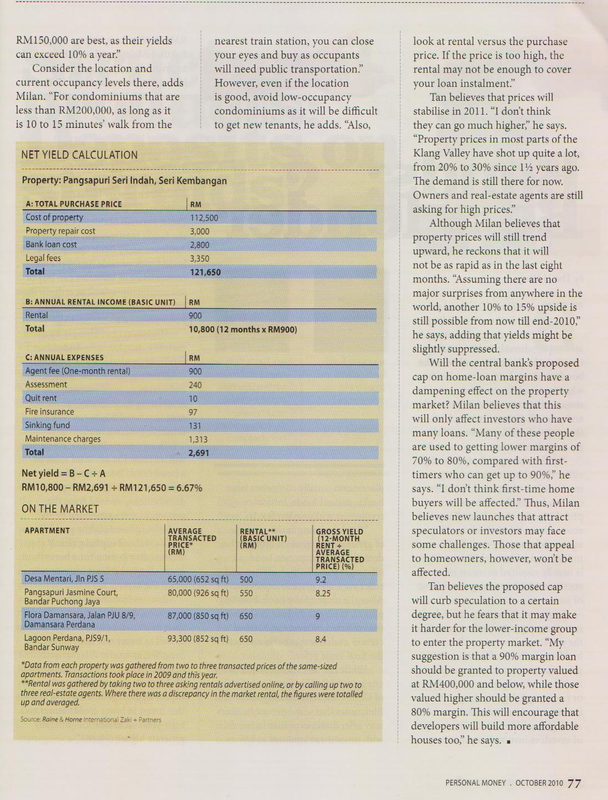 It recommends properties which are below 150k and show you how to calculate the net yield for properties. 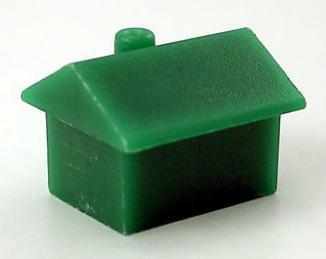 Certainly, buying properties which are below 150k in the right area is a sound strategy. 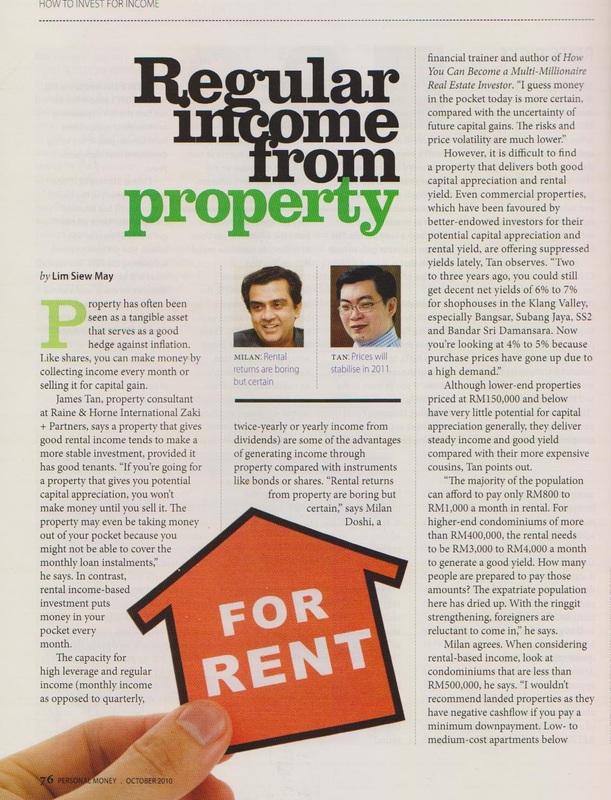 One of the experts quoted in the article righly pointed out: most people can afford rental of RM800-1000 per month, while those that can afford 2k to 5k per month are much fewer and may be confined to expats. Further the number of such expats in Malaysia have declined over the last few years in line with a lower FDI inflow. 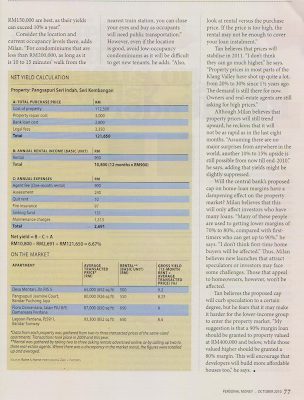 The article also highlights the perils of buying properties which are above 500k and expect to make capital gains only. By not being able to rent them out, you may be faced with negative cash flow every month from the property as you service your loan installment. You can refer to my earlier blog on the rental range of property that would be consider "bread and butter" properties.